Here is some the breaking news about the effort to Privatize the Library. Please weigh in with our elected officials and news outlets and share your position! Here is an update about what is happening from the Save Our Escondido Library Coalition. This is a very important issue and we hope everyone will get involved. that we must save our Escondido library from privatization! Evading Civic Responsibility– which you can view on the above link. what the consequences will be for their re-election if they do this. libraries, the local community receives $5.48 in economic value. the Council for not spending full funds available on library needs. feelings. Ask to speak directly to them or leave a message. Escondido Library Rally. Bring your sign, hat, water, and sunscreen! our Council is about to do! Here’s the report from the amazing turnout against Newland Sierra sprawl development KPBS Report on Community Meeting. This project seeks to upzone very sensitive habitat areas from 99 allowable homes plus some commercial to over 2,000 homes plus commercial. This is a project that is similar to several that have been defeated before. Why? Because it is a TERRIBLE IDEA! When the County adopted their General Plan after years of planning, this site WAS NOT the location that made any sense for new residential. The current plan only allow 99 homes. Worse, this area in a natural state was designated Pre-Approved Mitigation Area (PAMA) meaning the resources values are so sensitive that this is an area planned for mitigation of development elsewhere. It is critical wildlife corridor for movement of species and was part of the PAMA for the North County Multiple Species Conservation Plan. If we lose this amazing area of habitat, many wildlife species may be doomed. 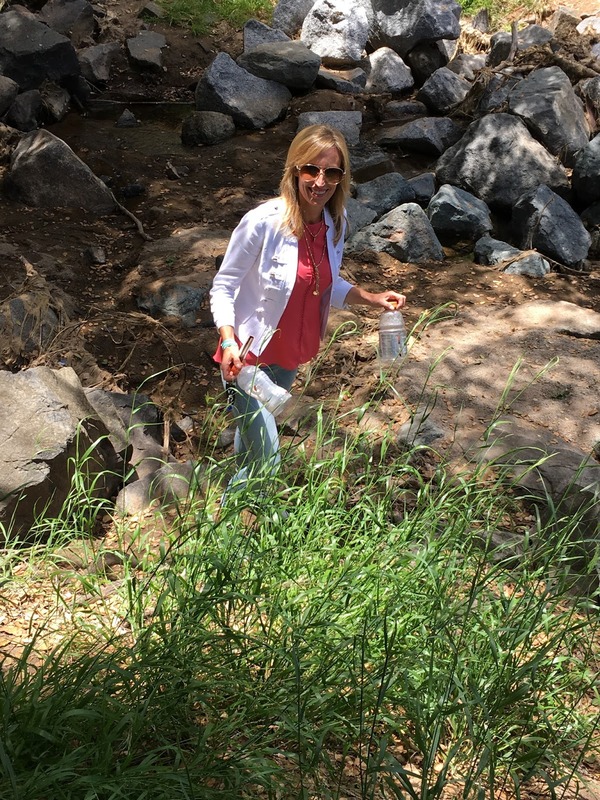 Last month ENU Board members had the pleasure of meeting our new supervisor Kristin Gaspar and offered a tour of Felicita Park. She was very interested in the issues facing the park and, like us, loved the beauty of the park. She even helped us pick up recyclables! She was very interested in the issues facing the Park and the community. We are looking forward to working with Supervisor Gaspar and her staff. Help the local community defeat this project. The Escondido City Council is considering privatizing the Escondido Public Library. If you care about libraries, please attend the Trustee meeting this TUESDAY, July 11 at 2 PM and learn more and share your thoughts.